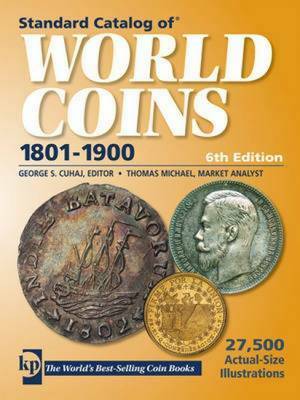 Standard Catalog of World Coins 1801-1900 is an all-in-one guide to 19th century coins from around the globe, and an essential resource for being competitive in today's coin collecting market-bolstered by strong precious metals prices. It provides collectors with up-to-date market process for coins in five different condition grades, and features 27,500 actual-size photos of coins to aid in proper identification. This book offers confidence in collecting through comprehensive coverage. Colin Bruce II is an experienced and accomplished numismatist and researcher. Colin is an avid collector with a passion for this hobby. He is one of the original creators of the Standard Catalog series and has worked with Krause Publications for over 40 years, expanding what once was a single volume into 5 distinct "century" references, assisted by a vast network of world coin enthusiasts.